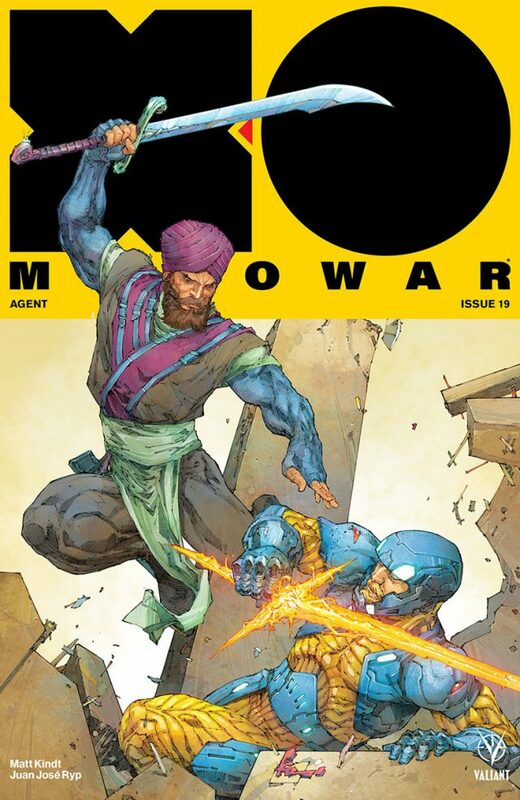 As first revealed at Comics Bulletin, Valiant Entertainment is proud to announce an explosive new story arc for the publisher’s critically acclaimed X-O MANOWAR series: “AGENT,” starting with X-O MANOWAR (2017) #19! Beginning on September 26th, Eisner-nominated writer Matt Kindt (ETERNITY) and incendiary artist Juan José Ryp (BRITANNIA) install Aric of Dacia as an operative of the Global Agency for Threat Excision, to face off against a fantastic new world of gods, myths, and heroes! 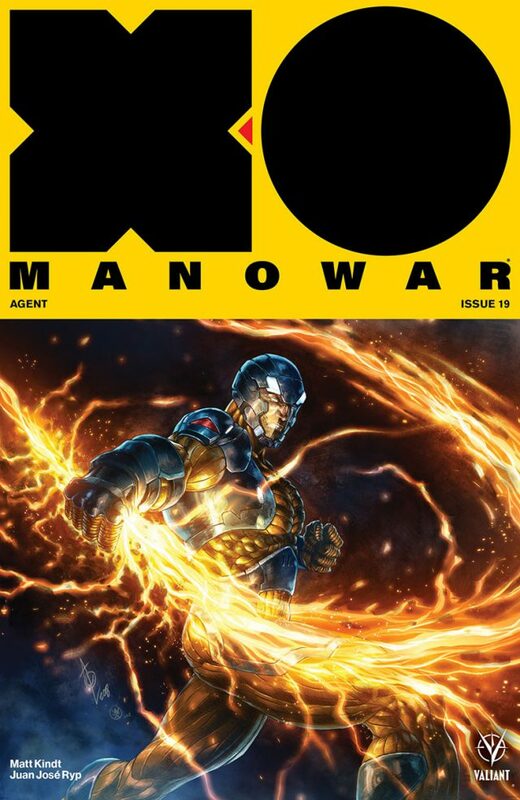 Featuring the return of characters from within the pages of ETERNITY, writer Matt Kindt and transcendental artist Trevor Hairsine’s seminal experiment in cosmic storytelling, X-O MANOWAR #19 will bring two of Valiant’s most beloved science fiction epics together for the ultimate meeting of space-faring warriors! On September 26th, worlds collide as New York Times-best selling writer Matt Kindt (DIVINITY, Grass Kings) and dazzling artist Juan José Ryp (NINJA-K) bring a new plane of existence crashing down upon our own in a brand-new jumping-on point for 2017’s best-selling series – featuring covers by Kenneth Rocafort (The Ultimates), Alan Quah (Orphan Black), Mico Suayan (BLOODSHOT SALVATION), and Renato Guedes (Wolverine)! 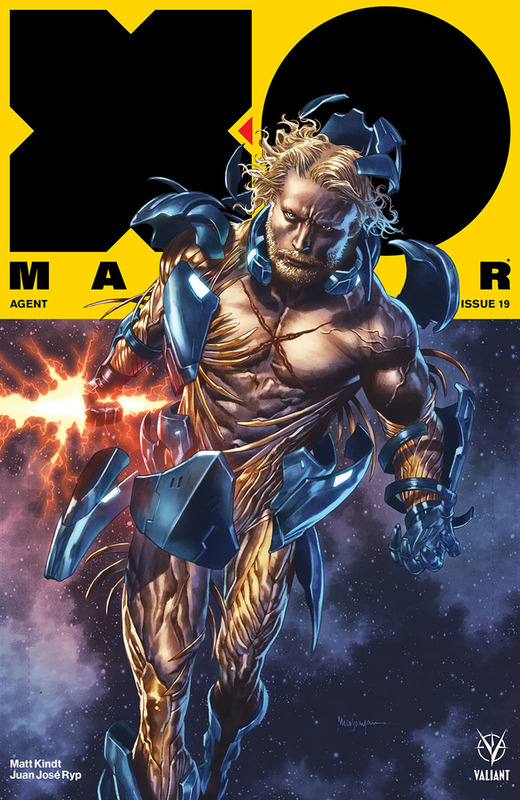 But first: witness X-O Manowar’s shocking return to Earth as the alien-enhanced barbarian chooses his side in the SEISMIC COMICS EVENT OF 2018: HARBINGER WARS #2! On May 30th, New York Times best-selling writer Matt Kindt and superstar artist Tomás Giorello (X-O MANOWAR) tear the country in two as the heaviest hitters in the Valiant Universe take aim at one another in an all-out confrontation!